Your next courier might not arrive by car, but rather by air, as Wing demos a drone future in the nation’s capital. Look! 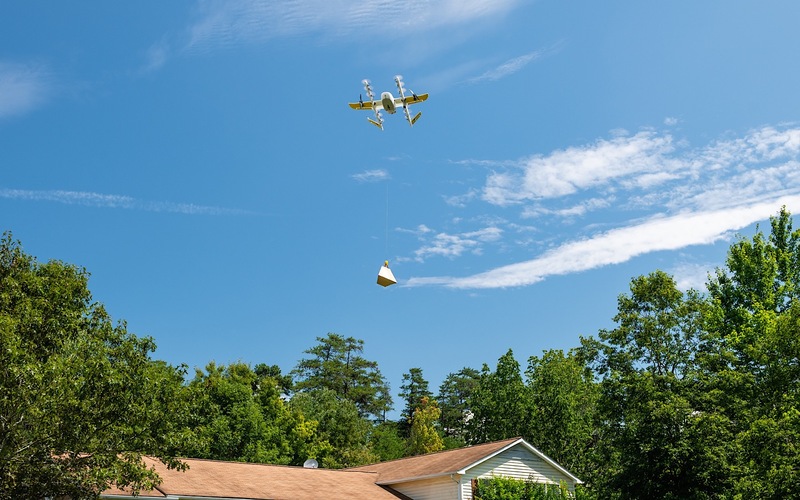 Up in the sky: it’s a bird, it’s a plane, it’s… kind of a combination of both, as drones take flight to act as delivery and driver in a first for the country, and possibly the world. The Alphabet brand that owns Google is doing something rather interesting in the skies of Canberra, as it launches a drone delivery service. Wing, a part of Alphabet, has now started flying from select retailers to select homes, making it possible for its drones to do the short trips that would otherwise spend petrol and time on. It’s the first of its kind for Australia, as a handful of homes take part in the initial service following trials of the service. At present time, the homes have to be in the ACT suburbs of Crace, Palmerston, and Franklin, though the company expect to expand to Harrison and Gungahlin within the next few months, with the end goal of acting as a delivery service for small things. That could be a box of painkillers, fresh bread, or even just a coffee, with Wing’s drones delivering from the likes of Kickstart Espresso, Capital Chemics, Pure Gelato, Baker’s Delight, Guzman Y Gomez, Jasper + Myrtle, and Drummond Golf to start with. In testing, the Wing drone has delivered products more than 3000 times thus far, and while it will probably take some time before other parts of Australia get the service, it’s a step in the direction to the delivery-by-drone future we seem to be gradually flying towards.